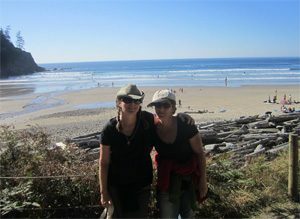 Beach Break Vacation Rentals – Explore Manzanita! Beach Break Vacation Rentals, LLC aspires to provide guests with peace of mind throughout the process of reserving & staying at one of our vacation rentals. We’ve built this website with ease of use in mind and encourage online reservations but are here to take calls 24/7! It’s our job to know everything about these properties so if there’s something not listed, please don’t hesitate to pick up the phone and give us a call! We’ve offered a vast array of North Oregon Coast properties for almost 10 years now with the hopes of meeting all of your vacationing needs. Whether you’re looking for a cabin or a castle, hot tub, pet friendly, internet access, fireplace, king bed, game room, close beach access, close to town, ocean front, ocean views, lake front, river front, boat dock, extra parking…..whatever your needs, we’re here to fill them, just a click or a call away!